With the next Olympics approaching soon, let’s take a look at the most physically demanding Olympic sports, and see which athletes will have the toughest time preparing for it. The Olympic games started back in 1896, with only nine sports, out of which only these five – athletics, cycling, fencing, gymnastics and swimming were included in every single summer Olympic games since the beginning. Next year, the Tokyo Olympics will include 33 sports, which is by 5 more, compared to the previous games. The five new ones include sport climbing, baseball/softball, karate, skateboarding, and surfing. It seems that the boundaries are widening in all directions, with the Olympic games now including some of the most difficult sports in the world. On the other side of the medal, regarding the easiest sports, we did some researches on the 10 Easiest Winter Olympic Sports to Qualify for, and 8 Easiest Olympic Sports to Qualify for, so go ahead and take a look. This time as well, we are taking both the summer and winter Olympic sports into account. So, how do we measure the difficulty of a sport? One of the problems it poses is the fact that the most mentally demanding sport, does not necessarily need to be the most physically demanding one. Some sports require developing tactics, planning, visualizing the match/game. So, thinking about what is the hardest sport mentally, fencing comes at the top of the list, and no wonder it is often referred to as physical chess. While requiring excellent physical strength, agility, and durability, fencer also needs to think of all possible strategies, attack planning and predicting his opponent’s moves. Taking all this into account, fencing could easily be classified as the most complicated sport. Nevertheless, other sports should not be underrated taking the mental aspect into account. So, if you were asking yourself is swimming the hardest sport, the answer is yes, it is among the hardest ones, taking in account both mental and physical stress and preparation. 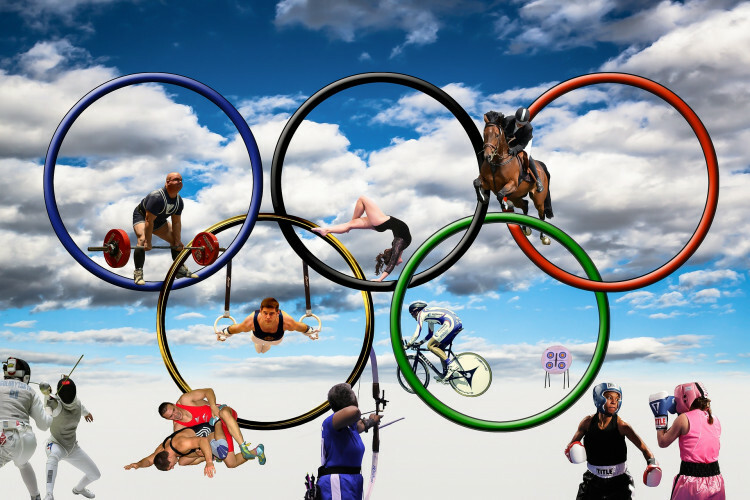 For today’s topic, in order to see which Olympic sports are the most physically demanding ones, we searched on places such as Bleacher Report and Outside online, and some personal experience. And, in order to rank the sports on our list, we followed the degree of difficulty criteria mainly taken from ESPN. The ranking criteria include important aspects that a sportsman needs to master and possess, such as durability, strength, power, agility, speed, flexibility and so on.